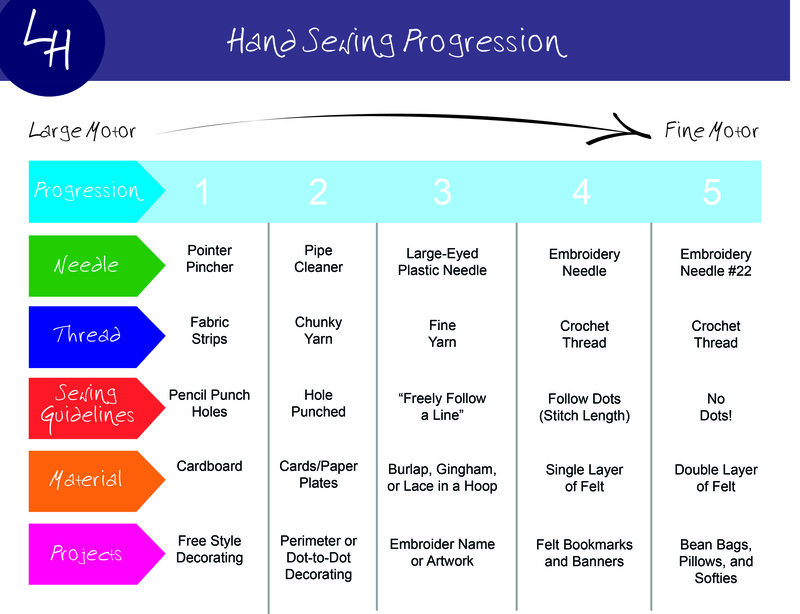 The Hand Sewing Progression chart below, was the organized result of teaching sewing skills to various ages of children at various stages of fine motor skills. Toddlers love stringing large beads, tube pasta, even Cheerios! Stringing is great for developing their eye-hand coordination and fine motor skills. Some children, as young as four, desire to leave the stringing behind and move on to “real sewing”. Hand sewing is the logical place to start. 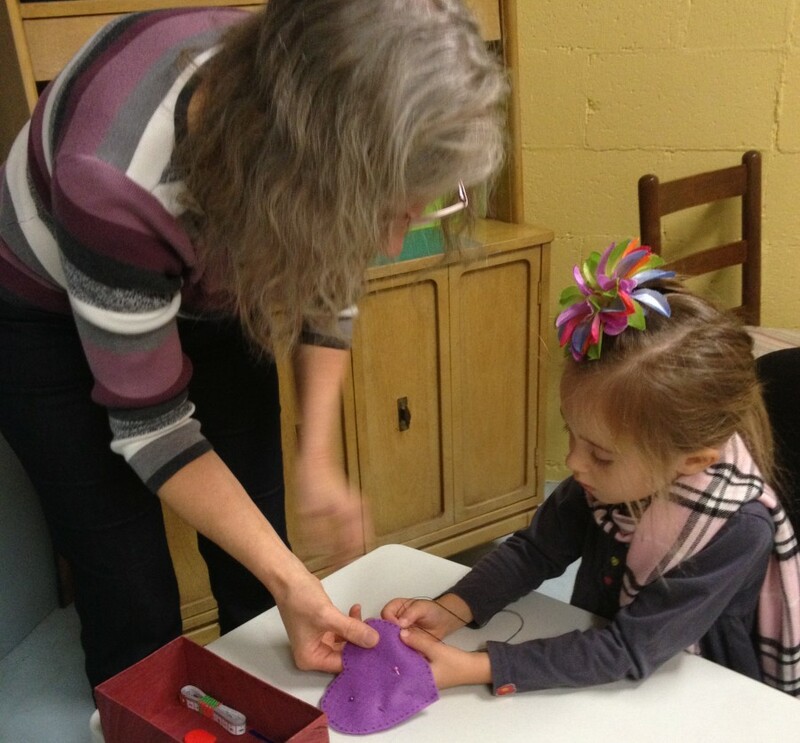 Last fall, I started Little Stitches, a hand sewing class for children ages 4 – 6. As I prepared the curriculum, I wanted to be sure it was incremental, taking them gently from larger motor to finer motor sewing skills. This led me to organizing those skills in the following chart. Though this chart is not unique in its content, I think it is unique in visualizing the progression of these sewing skills. The first two columns are technically pre-sewing skills, but are still part of the overall process. This entry was posted in Hand Sewing, Home Arts and tagged Hand Sewing, printable, teaching aids, young children. Bookmark the permalink. Enter your email address to follow Amy's Chalkboard and receive notifications of new posts by email.